Get ready to ride the rails in a brand new Chuggington adventure! Following on from Chug Patrol – Ready to Rescue, our second Chuggington app is a traintastic action-packed storybook bursting with games, rewards and clips from the television show! While little trainees are having fun they’ll also be learning. The games are designed to reinforce problem solving skills, while the story emphasises positive values such as respect, loyalty, teamwork and patience. Chuggington – We are the Chuggineers is available from February 19th in the App Store for iPhone, iPad and iPod Touch priced at $4.99 / €4.99 / £3.99. Chuggington is a popular action-packed animated train series for pre-schoolers that follows the adventures of young trainees Wilson, Brewster and Koko. Chuggington – We Are the Chuggineers is the official storybook app of the Chuggineers: Ready To Build extended episode. 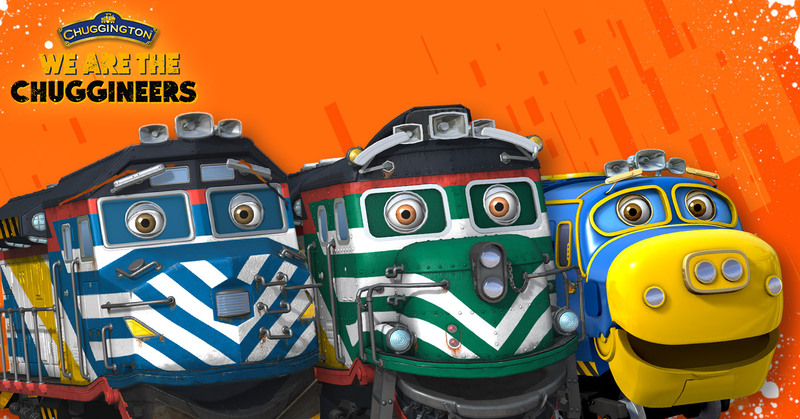 The Chuggineers are a railroad construction team responsible for building the tracks, bridges and tunnels in Chuggington. The app includes seven clips from the TV show starring the newest Chuggers – Zack, Tyne, Fletch, Cormac and Payce. It also comprises seventeen pages of story, animation and illustrations and four exciting interactive 3D games. We are the Chuggineers provides a multi-faceted immersive and engaging experience offering pre-schoolers the opportunity to take part in traintastic adventures alongside their favourite characters. The action-packed story comes with the options of Read to me, Read it Myself or Autoplay modes with highlighted text. Multi-level games are interwoven throughout the story with positive reinforcement and rewards for reading and playing along. Children can lay tracks, dig a tunnel deep into a mountain, chase a runaway tunnel ring and play an exciting tunnel race game. The games have four levels of difficulty with rewards of blue, green, red and gold stars for the completion of each. Win one of four stars when each game is completed: blue, green, red and gold.